Manchester City forward Gabriel Jesus is hoping to leave his knee injury behind him as he looks to return to regular first-team action. The Brazil international suffered a gruelling injury on New Year's Eve versus Crystal Palace, and it was initially feared that he would be ruled out for the rest of the season. However, the former Palmeiras man has made his comeback ahead of schedule, and he is aiming to become a regular once more with the World Cup coming up in five months' time, he said: "I got injured on 31st December, it was the worst day of my life. It was difficult because I never had an injury there and in that moment, I feared the worst. 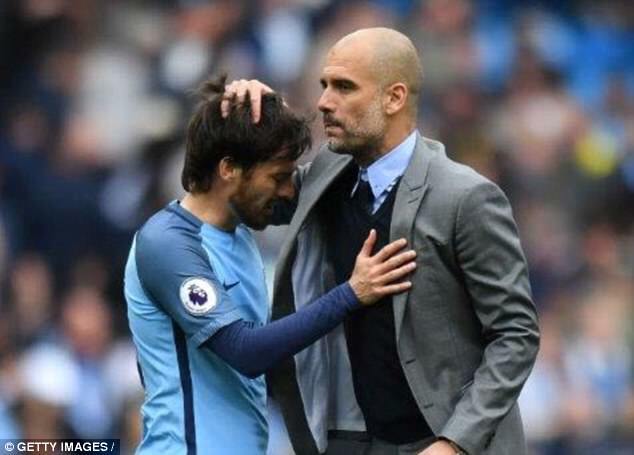 Pep Guardiola has been handed a huge boost with the news that midfielder and playmaker David Silva may be fit for the game against Bournemouth this weekend. The presence of the Spaniard has been a huge factor behind Manchester City’s incredible start to the season. However, Silva was unavailable for the recent game against Tottenham due to unknown reasons. The presence of several incredible stars in the lineup meant that Manchester City were able to get a 4-1 win over Spurs win without Silva, as it was the turn of Kevin De Bruyne to step up to the plate. However, Silva will be back to take the mantle against Bournemouth. It is extremely important that Silva was back in the first team not just for this match, but also for the upcoming list of fixtures in the festive period. There are a number of matches for Manchester City during this period and this is immediately followed by the FA Cup and League Cup action in January. As a result, Guardiola may need their full complement of players in order to challenge on these four fronts. Apart from Silva, City may also be boosted by the return of John Stones, who has been looking impressive so far this season. The 23-year-old was heavily criticised in his debut season at the club. 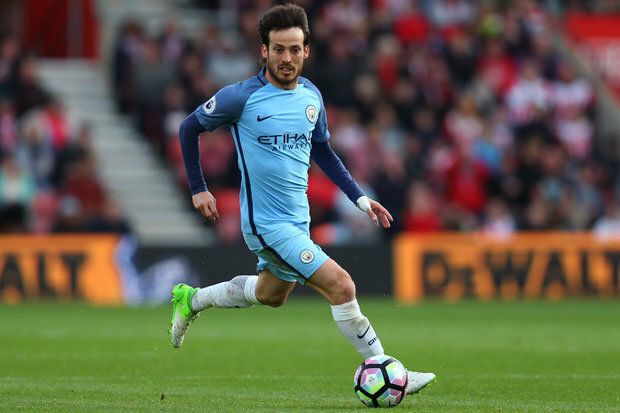 Manchester City manager Pep Guardiola is hopeful that David Silva will commit his future to the club on a new long-term deal. The 31-year-old has played a pivotal role for the Citizens in the early part of the campaign, where they remain unbeaten in all competitions. 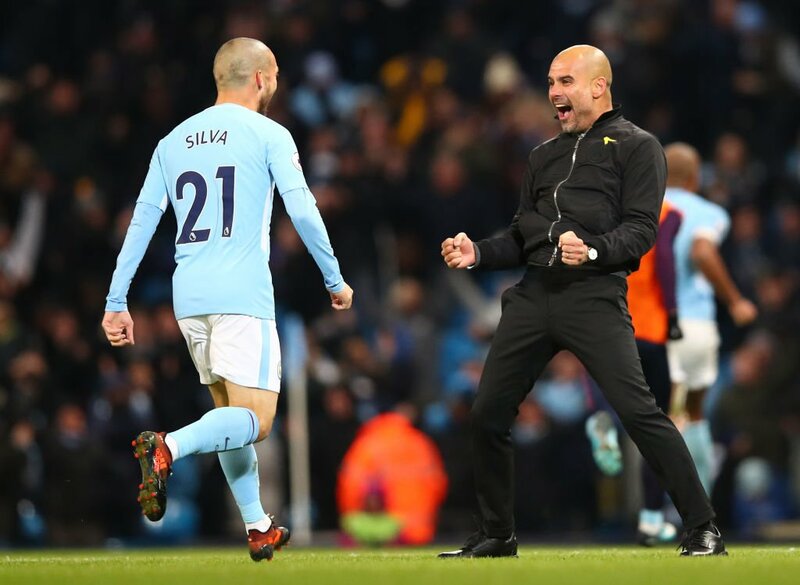 Silva is one of the City's longest-serving players having joined from Valencia back in the summer of 2009, and Guardiola has stressed the need to prolong the Spaniard's stay at the Etihad. In a report covered by Sky Sports, the City manager spoke about the midfielder's influence on his fellow teammates, while suggesting any deal is down to City director of football Txiki Begiristain. TalkSPORT pundit Joey Barton has hailed David Silva as the best player in the Premier League following his influence in Manchester City's 6-0 triumph over Watford on Saturday. The Mancunian giants spent over £220m on new recruits during the recent transfer window, but Barton insists that Silva is still the most important player in the Citizens squad. Speaking as co-host on Alan Brazil Sports Breakfast, he said: "City look phenomenal. They’ve got the best player in the league – and that’s David Silva. He’s head and shoulders above anyone else and has been for a while. Every pass is the right pass. He would have to be in the same conversation as a Luka Modric and Toni Kroos. If he was playing for Barcelona and not in the Premier League he would be even better. For me, he is the best in the Premier League by an absolute mile." Gabriel Jesus has insisted that he will continue working harder with Manchester City as he dreams of representing Brazil at the World Cup finals in Russia next summer. The 20-year-old joined the Citizens from Palmeiras in January, and he has since contributed 12 goals in just 20 appearances in all competitions. David Silva is one of those players who might not mark his name on the score-sheet as consistently as others and isn't a very outspoken performer, but makes his presence known in different ways. Fans who regularly watch the live matches on socagol know what a difference he makes to the Man City side. One of the ways that the Spanish midfielder is making his presence be felt in this 2017-18 season of the English Premier League has been by providing 6 assists in the 9 opening league matches of the season that have been played so far. 6 assists in 9 league matches is actually more than what any other players in the Europe has done so far, so it's no wonder so many fans are tuning in on fussball-liveticker.eu to watch him play. 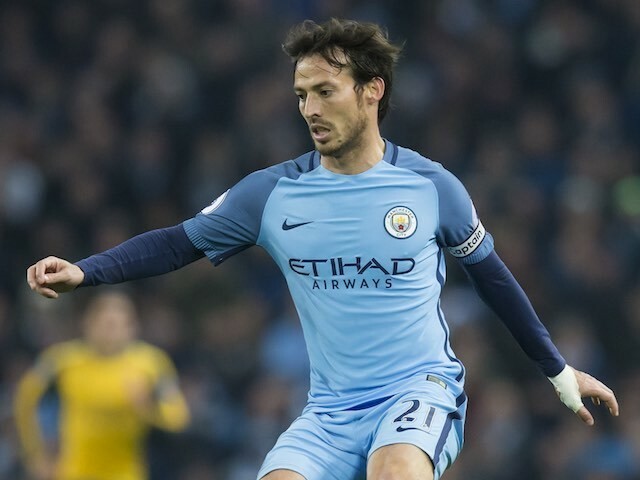 Spanish side Las Palmas have initiated talks with Manchester City midfielder David Silva after knowing of his ambition of playing for the club in the future. The 31-year-old has been a great servant for the Citizens over the years, but he plans to return to La Liga for the latter stages of his career, preferably with Las Palmas in his native Gran Canaria. “My ultimate ambition to play for Las Palmas. People say I should go to Real Madrid or Barcelona, but my team is Las Palmas," Silva said in an interview. Manchester City are mulling over the prospect of offering Sergio Aguero in a proposed deal to sign Alexis Sanchez from Arsenal this summer. According to The Gambling Times, the Citizens boss Pep Guardiola is eager to work alongside the Chile international, and he is planning an ambitious approach in order to convince the Gunners to sell. 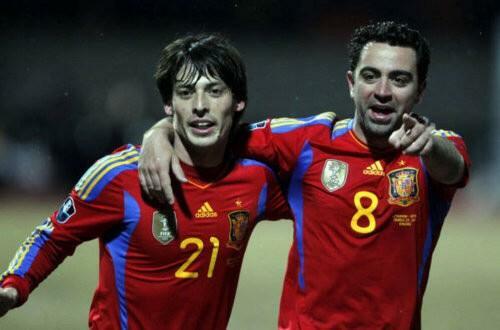 Manchester City playmaker David Silva has revealed plans of returning to his home country Spain soon. His current deal with the Etihad lapses in 2019 so he has two more football season to go. The Spaniard would be 33 by the time his contract expires but he has refused to agree a new deal that would push forward this date. 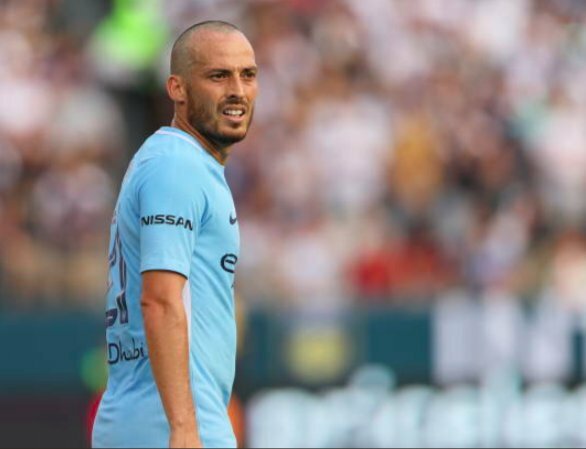 Manchester City midfielder David Silva has reportedly got rid of his mullet ahead of the new campaign. The Spain international has unveiled his new haircut for pre-season - one which resembles that of manager Pep Guardiola. 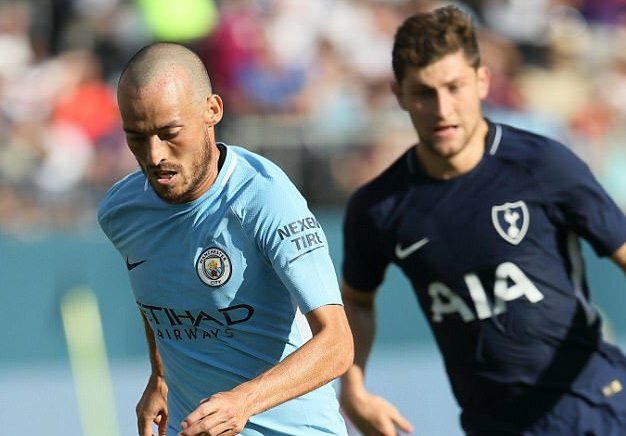 Silva has been the main stay in the Citylineup over the past seven seasons, but he has opted to shave off his thick brown locks which maintain his identity on the playing field.